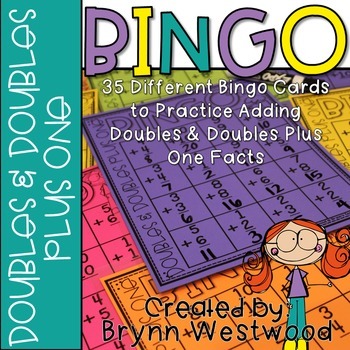 Brynn's Teacher Bag: Doubles & Doubles Plus One Bingo Giveaway! Doubles & Doubles Plus One Bingo Giveaway! I just finished my Doubles and Doubles Plus One Bingo. There are thirty different cards included and all you have to do is print, let your students solve the equations, and play! You could also print the cards, laminate them, let your students solve the equations with a dry erase marker, and then play. This way you could reuse the cards numerous days and practice solidifying those doubles facts! 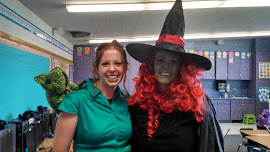 I love helping my students enjoy learning by creating games. Just a tip, I always have SMARTIES on hand for bingo and many other games! They work great for everything! Write a comment below and I will chose three lucky winners on Sunday at 7 p.m. Mountain Time. Doubles & Doubles Plus One Bingo! How fun! I have always wanted to start a TPT store! I would love you doubles and doubles plus one bingo. It sounds fun! Good luck with your blog and store! You are a winner! Thanks for checking out my blog! Send me your e-mail and I will send you the doubles and doubles plus one bingo. Stephanief@sd215.net. Thanks! I pinned it too! Don't Eat the Sight Word! Welcome to Brynn's Teacher Bag!